Summer is not over yet, not while we have melons and watermelons. These lollipops are very easy to prepare and you can prepare large amounts even with a single melon or watermelon. These lollipops are actually nothing but a frozen melon but if you are out of ideas for party snacks, it might come in handy. You can use forks instead of sticks if you are going to eat all by yourself but if you are going to save it for a party, using sticks would be much convenient. 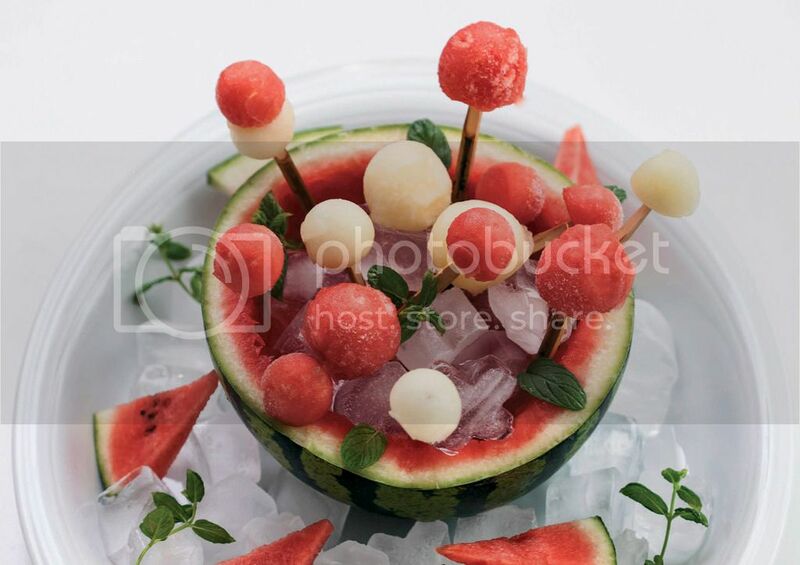 Divide the melon and watermelon in half and use ice cream scoop to shape lollipops. Remove the seeds from melon balls and stick the forks or wooden sticks into them. Keep them in the refrigerator until they are frozen. To serve it more eye-pleasing, you can use empty watermelon half as a bowl and fill it with ice as you can see in the picture.